Whenever we leave the house, we’re bound to run into someone we know. Whether it’s for a run to the grocery store, a trip to the mall or even if we’re headed to go to work – it’s important we always look our best. Even if we’re not in the mood to get dressed up and ready for a quick trip out – people judge us for every little thing we wear. There are a lot of ways that out outfits and appearance can f*ck us over in terms of other people’s opinions of us, without us even noticing. Sure, we may have showered this morning, put on a brand new outfit and tried to look our absolute best, but there are small little details that fall through the cracks and in turn, make us look like we’re riding the Hot Mess Express. 15. Wearing clothing that has small rips, frays or tears in it. Sometimes we leave the house in ripped jeans or jeans that are frayed at the bottom. While it’s a style statement and trend, sometimes, it makes us look disheveled and unorganized. Sometimes when we wear things too often and for too long, the threads start to wear and buttons begin to become loose – while you don’t think it’s a big deal, people notice. 14. Wearing too many accessories. While accessorizing can spice up a plain outfit, going overboard can make any outfit look tacky and cheap. If you are going to a work setting or a really nice affair, you don’t want to overdo it by blinging out a fancy dress or pants suit. Keep it simple. 13. Not ironing your shirt/dress/skirt. Sometimes when we leave the house in a rush, we don’t have time to iron everything. 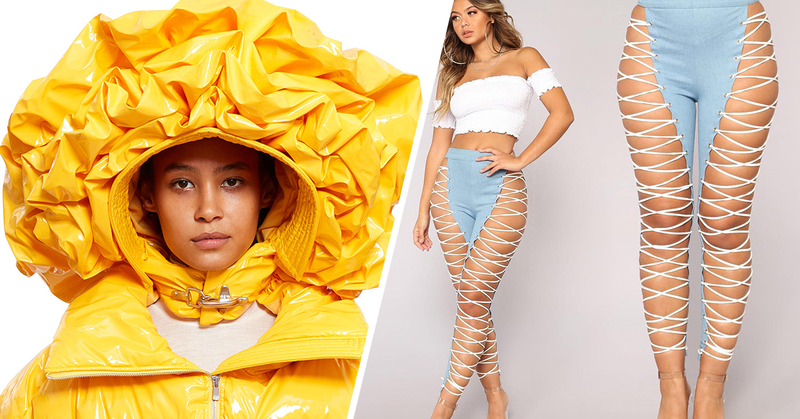 People will run out the door in a button-down shirt that looks like we’ve slept in it, a dress with way too many wrinkles or a skirt that needs to be fixed ASAP. Not ironing your clothing can make you look sloppy in appearance. And, what’s even better is they now sell hand steamers that you can buy and speed up the “ironing process” altogether. 12. Wearing hair ties as bracelets or accessories on your wrist. 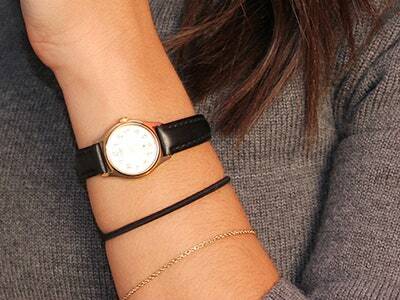 It may seem convenient to keep your hair tie or a rubber band on your wrist in case you want to throw your hair up, but it also looks sloppy and makes you appear much younger than you are. It’s better off to put them in your bag, car, or desk at work incase you want it, rather than keeping it on your wrist all day long. 11. Wearing clothes that are too tight on you. There comes a time in everyone’s life where we start gaining weight a bit faster than when we were younger – it’s called growing up. Our metabolism starts to slow down and all that pizza comes back in our faces whenever we look in the mirror. 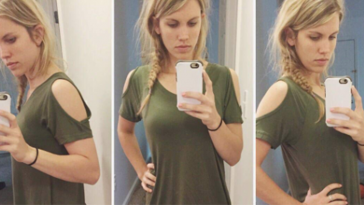 If you’re still wearing shirts and dresses from when you were 18-years-old and they definitely don’t fit anymore, people notice. 10. Carrying around a bag that’s too big in certain situations. 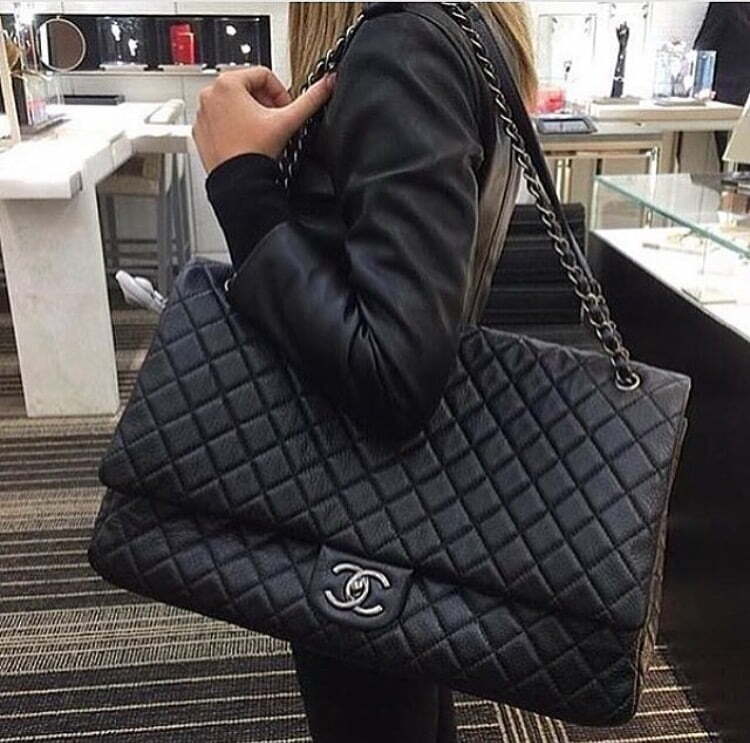 When you go to a job interview or a party, it’s better to carry a smaller bag than a large one. Also, you want to be sure the bag is in good condition and isn’t ripping or tearing anywhere, or that there are no dirty stains on it anywhere. Bigger bags can make you appear as though you’re trying too hard. While many women think showing your bra is a “feminist movement,” it does look sloppy and tacky in most social settings. In fact, if you’re wearing a shirt in which your bra is showing, it can even come off slutty and inappropriate – especially in a work setting. Sometimes, with the right outfit, oversized clothes can be chic and cute. But, often times this isn’t the case and instead, appears sloppy and lazy. Finding clothes that are tailored to your body is the key to appearing professional and kept. Even though you think no one can tell your eyeliner and mascara is from last night, it’s pretty obvious when it’s smudged all over your face. It’s better off to wash your face and start fresh rather than be lazy and keep the same, cruddy makeup on. People will think you are irresponsible and trashy if you appear this way. 6. 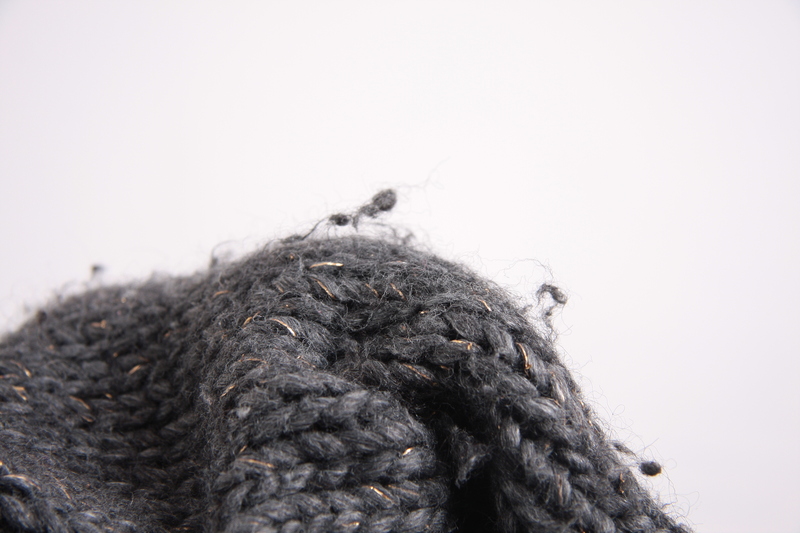 Animal hair on your clothes. If you have a pet, it’s likely that they tend to shed all over your house and clothing. But, that’s why God invented lint brushes and rollers. Just because you have a dog doesn’t mean you want to show up to a meeting covered in dog hair – it just looks awful. 5. Sweaters with pills all over them. 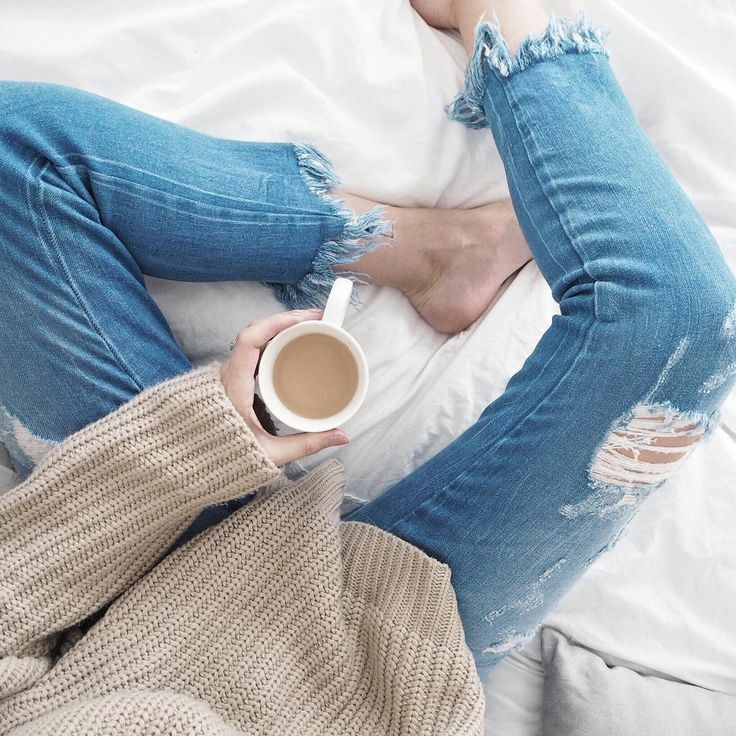 Every girl knows there comes a time when we need to retire our favorite sweaters (RIP). Although we love them and had some good times in them, when they begin to get “pilly” it’s time to chuck them and get new ones. Wearing pilly sweaters make you look cheap and dirty. 4. Wearing the wrong shoes with the wrong outfit. Even if you’re trying to be comfortable rather than classy, you can always throw sneakers in your bag for your commute home (which is what we all do). When you’re at the office or at a party/event, don’t show up in your sandals or sneakers just because you have to take the train home. It looks tacky and unfortunately gives off the vibe that you don’t care. 3. Wearing any clothing with stains. Sure, you may have gotten oil on your favorite t-shirt, but that doesn’t mean you should continue wearing it just because it’s your favorite. If you can’t get a stain out, that means you have to replace whatever item you’ve stained. Going out with stained clothing is horrible for your appearance and will always make you look sloppy and disorderly. 2. Wearing white shirts/dresses/pants/skirts that are no longer bright white. Eventually after owning white clothing for years, the white begins to fade and it becomes more of an off-white/gray. This is when you need to purchase new whites. Whites should be bright and clean, not dull and dirty. Wearing these “white” items will make you look cheap and as though you don’t wash your clothing often enough – or separate your laundry. 1. Dirty or chipped nails. If you don’t take care of your nails, it’s an issue. Even if you’re not into getting them done or painting them, you should always clean them and cut them. 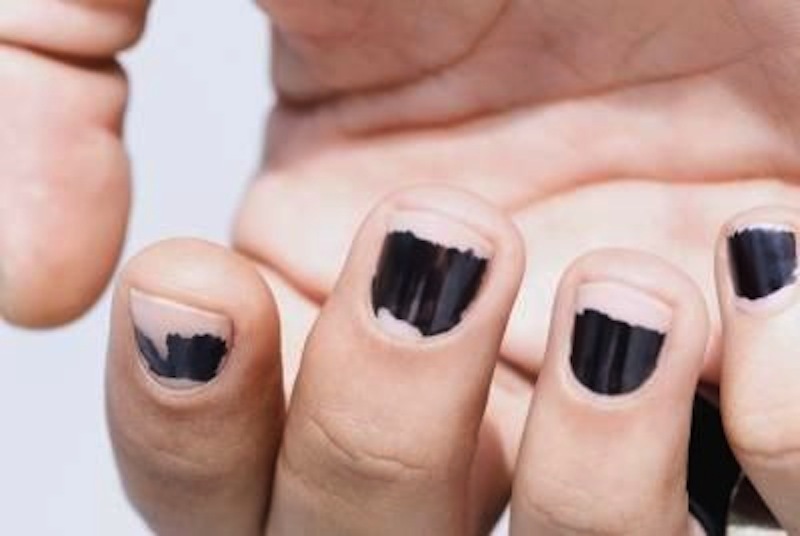 If you do get manicures and your nail polish is overly chipped, that also is a sign of sloppiness and bad hygiene. The minute you see dirty under your nails, clean them. If they’re too long, cut them. If they’re chipping, take the nail polish off. Clean nails make you look cleanly and responsible.